Turtl is a cloud-based software that enables marketing and communication teams to create, publish, and measure content experiences, which aims to enhance engagement. It is an all-in-one platform with a psychology-led format that helps users design compelling content with interactive features. In this article, we cover user reviews. Ready to try Turtl? Request a demo. Users who gave Turtl a positive review said that the software is user-friendly. Several others like its editing tools that enable them to create templates and designs with ease. One user who left a positive review of Turtl on G2 Crowd mentioned that it is easy to use and allows her to design professional and “slick-looking” proposals. She noted that its editing tools make her content projects look even better. Users who gave Turtl a negative review commented that navigating through some of its features may be challenging for beginners. Some complained about experiencing difficulties adjusting text layouts and fonts. One user who left a negative review of Turtl on G2 Crowd said that changing a content project’s fonts and adjusting the size of text fields are very frustrating. He dislikes having to copy his content onto Microsoft Word to make the necessary revisions and then transferring it back to Turtl for finalization. Turtl does not publish its pricing on its website, but paid software similar to it costs anywhere from $20 to $500/month, depending on the features included. Interested users may request for pricing information by contacting Turtl’s sales team. Ready to try out Turtl? Request a demo. Can users access Turtl on mobile devices? Yes. 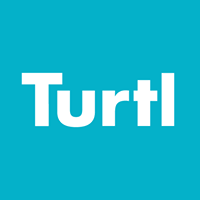 Users can access Turtl on all devices, from smartphones to tablets and desktop computers. What types of content projects can users create with Turtl? With Turtl, users can create a variety of small to large content projects, such as blog posts, newsletters, proposals, case studies, brochures, presentations, research reports, white papers, E-books, and more. Not sure if Turtl is the right fit for you? Read our reviews of all top content marketing software providers or check out one of these three Turtl competitors. For full time designers and visual creatives, it is a little “on rails” and doesn’t quite allow for creative expression. Good question- don’t know. 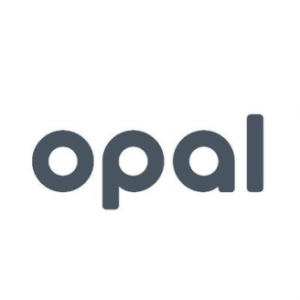 Initially I was a little disappointed with how narrow the product was, but it has improved significantly in recent years- now they are far better at mapping out planned improvements. Also, to use labels! really useful filing system.